A 'Growth Mindset' is where people believe that their most basic abilities can be developed through dedication and hard work - brains and talent are just the starting point. This view creates a love of learning and a resilience that is essential for great accomplishment. The original idea of growth (and fixed) mindsets was developed through decades of research around achievement and success by Stanford University psychologist Dr Carol Dweck, and has since shaped a widespread understanding about learning. Henleaze Junior School teach and encourage Growth Mindsets within their pupils to motivate and instil a belief that by working at something, great results can be achieved. They have been using the idea of a Yeti as a vehicle to describe the various elements of a Growth Mindset, and wanted to build on this. "I may not be able to do something...YET! " 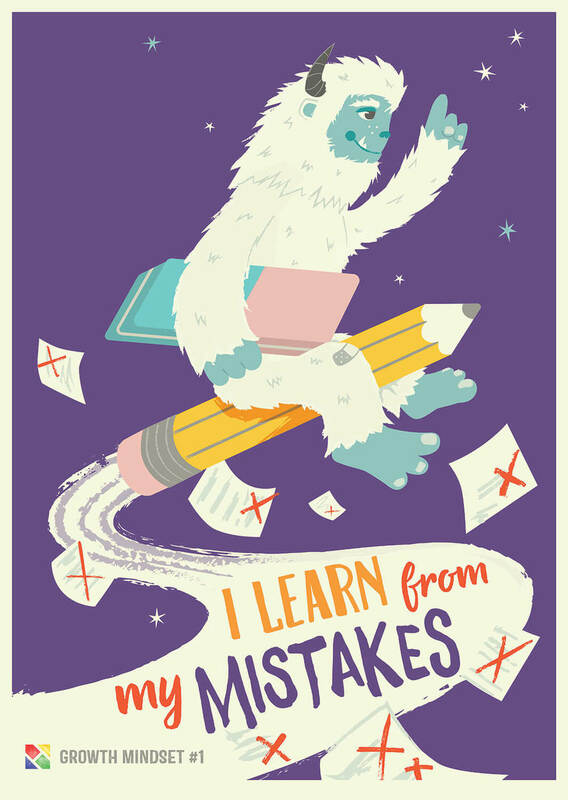 To produce a set of 4 illustrated artworks, each with a statement relating to Growth Mindsets. 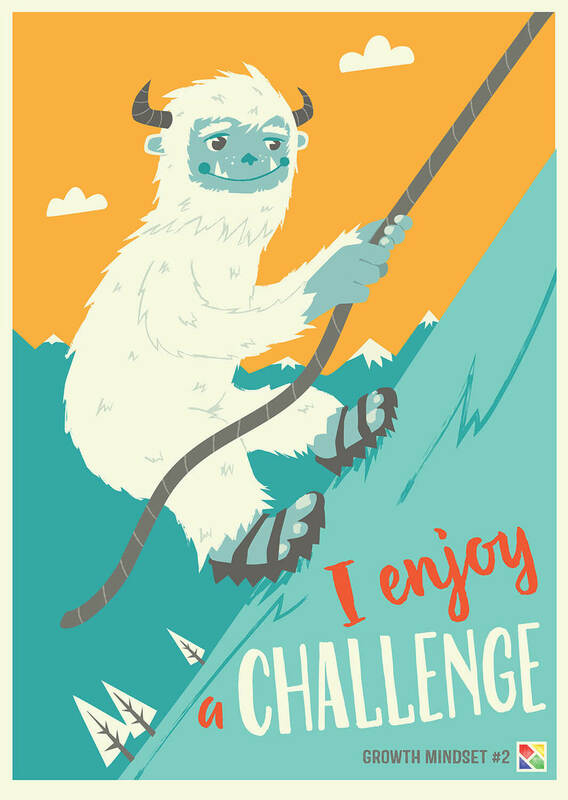 The images should be fun and engaging, with a the Yeti being developed as a central character. The images are to be produced as high quality art prints at A2 size, and displayed around the school. What were your reasons for commissioning me to create these artworks? Now the posters are up in the school, how have they been received, particularly by the children? The posters look fabulous. They are a constant reminder for the children and a talking point when we show visitors around the school. They have a timeless quality and were well worth the investment. 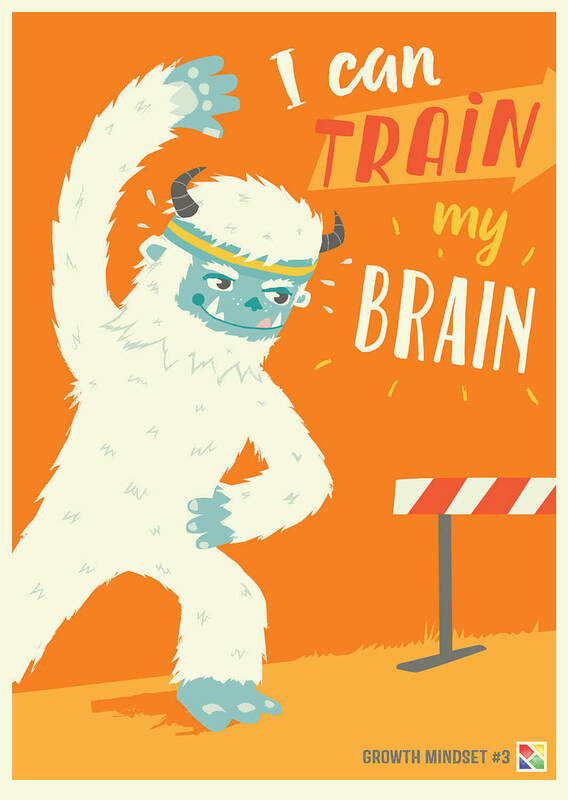 Along with your teaching, do you think the Yeti character has helped the children get more of a handle on Growth Mindset ideas? Yes, especially for the younger ones. 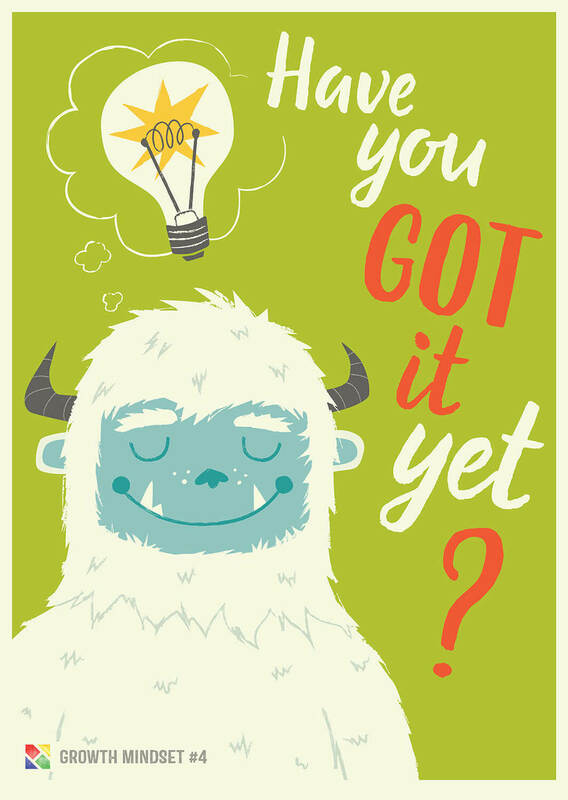 Actually some of them don't necessarily make the link between the yeti and growth mindsets but as long as they get the 'I can't do it yet" and know they have to keep trying, I don't think it matters. Carys was very easy to work with. She has a great sense of colour and listened to suggestions and feedback but still managed to produce posters which are very much her style - the reason I commissioned her to begin with. Additional artwork: To be the cover of each child's planner, spiral bound down the left hand side.